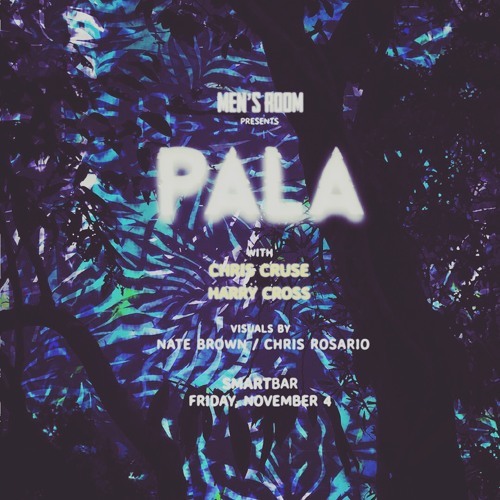 On November 4, 2016, smartbar was transformed into a witchy forest for Men's Room presents PALA. Special guest Chris Cruse of L.A.'s Spotlight party starts off the live set in the first hour. Men's Room resident Harry Cross takes over for the second hour. Both selectors offering techno with tribal and ethereal moments to a packed house of half naked twirlers. I recognize this voice who is it?